Boston, 1865. A series of murders, all of them inspired by scenes in Dante's Inferno. Only an elite group of America's first Dante scholars Henry Wadsworth Longfellow, Oliver Wendell Holmes, James Russell Lowell, and J. T. Fields can solve the mystery. 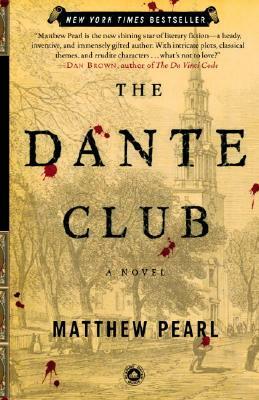 With the police baffled, more lives endangered, and Dante's literary future at stake, the Dante Club must shed its sheltered literary existence and find the killer.